Kamal Shaarawy studied a dual major of Electrical Engineering and Islamic Studies at Al-Azhar University in Cairo, Egypt, and went on to obtain a master’s degree in clinical psychology in the U.S. He has also completed all courses required for a doctorate in clinical psychology and more than 2000 clinical practicum hours. Kamal worked for five years for ISNA (Islamic Society of North America), in charge of their publishing division, American Trust Publications, and later on, their Islamic Book Service. He worked for six years for the public schools in eastern Pennsylvania as a Behavior Specialist Consultant and as a Mobile Therapist, providing counseling and behavior modification for children and their families. Kamal is also a certified instructor of the parenting approach “Parenting with Love and Logic” and a certified clinical hypnotherapist. Living Eman’s objective is to empower Muslim and non-Muslim individuals, couples, and families to live healthy, happy, and successful lives. Currently Kamal is the director of the “Family Enhancement Program” in Phoenix, Arizona. He has also provided private counseling for Muslim individuals, couples and families for the past twenty five years, and volunteered in correctional facilities to provide Islamic education and coaching for Muslim inmates. He has extensive experience working with individuals, couples, and families across a broad spectrum of faiths, cultures, and ethnicities. 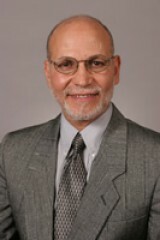 Kamal is the co-author of a book called Come To Success Through Living Eman, which emphasizes the transformational aspects of Islam in daily living. In addition, he has authored the newly published book Dwell In Tranquility: An Islamic Roadmap to the Vibrant Marriage which combines the sublime knowledge of Islamic teachings with scientific research, and insightful real life and counseling experiences.